Battlemodos give you a clear sense of what's good and bad in a gadget category, but there's no way to include everything. Consider the $99 Asus O!Play the new champ of HD video players—better late than never. If you remember the HD media player battlemodo, I awarded WDTV Live and Seagate FreeAgent Theater+ the two top spots. The WD is still best for people who want a smooth interface and a hopefully increasing number of online services for streamed media. (YouTube and Pandora now, who knows what else?) It's actually the Seagate that gets KO'd by Asus. More functional than frilly, both the O!Play and the Theater+ handle every video file I could throw their way, they both read Mac- and PC-formatted drives, they both browse the local network well, they both read DVD menus from ripped ISO files, they both have superb video output—and they both suffer from having stupid punctuation characters in their name. But one costs $30 less than the other, according to Amazon's current prices. 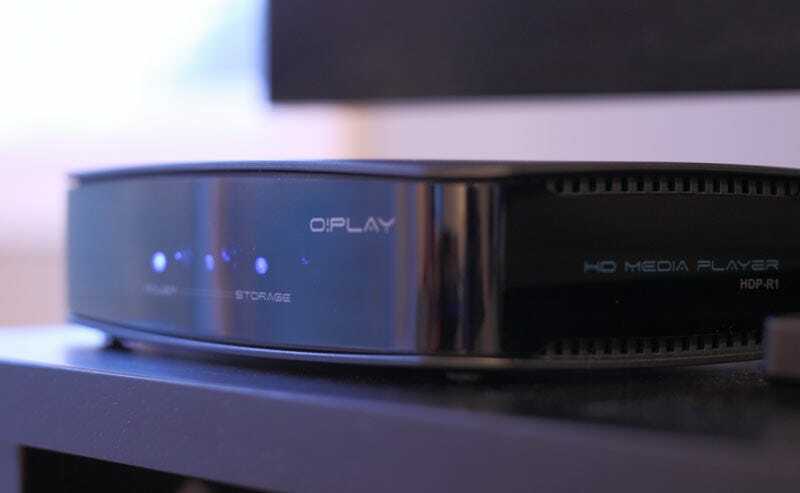 Not only is the O!Play cheaper, but its second USB jack is also an eSATA port which might come in handy when you start getting 1080p rips of all your favorite movies, and it has a file-copy function that lets you dump stuff from one drive to another, or to drives on the network. I had only one major complaint with the Asus: Every time I watched a video ripped from DVD, it showed chapter numbers in a big white font for an extended period, about 15 seconds. Not only did pushing every single button I could think of not help this, but I couldn't even advance from one chapter to another by using the skip-forward button, so why do I need to know what chapter it is in the first place? A shame, but probably a bug that can be fixed really easily. • If you want a full-on pirate kit, with torrent client built-in and everything, go with the Popcorn Hour (or the cheaper, quirky Patriot Box Office). • If you want something with a nice interface and Pandora streaming music, go with WDTV. • If you're choosing something to work with your iTunes collection of music and video, or something for your parents, probably still better to pick Apple TV—and tell them to buy or rent all their videos.